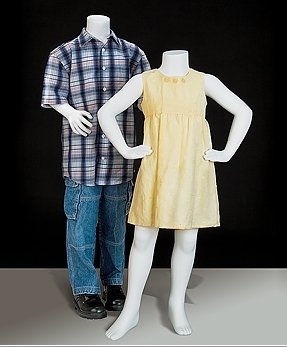 10 Year Old unisex headless child mannequin in white finish offer an excellent attention getting pose for your child displays. Make in fiberglass with round base. Arms and leg is removable for easy dressing. Kids Unisex allows you to cross dress the mannequins in your complete girls and boys line of childrens clothing.